Windows, Walls, & More is your hometown source for blinds, shades, shutters, custom drapery, bedding, fabric and wallpaper since 1977! Our services include professional measuring, experienced installation and stylish design, all provided with a Michigan flair since we’re independently owned and operated. To ensure your complete satisfaction, Windows, Walls & More is proud to offer the Right Choice Promise. We are a family-owned business proudly serving the greater West Bloomfield area since 1977. 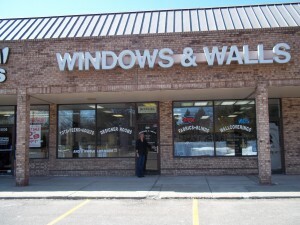 You’ll find more than great window fashions and wall coverings with us. You’ll find great people who have the knowledge and expertise to help you put it all together. From design consultations to professional installation and repair, we are committed to your complete satisfaction.